Nowhere to stow an off road jack on your Jeep Wrangler? Problem solved! 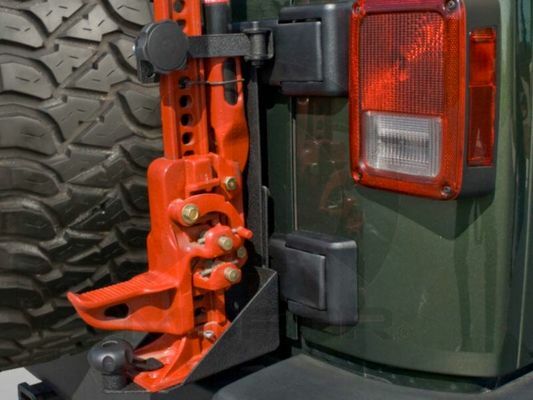 Fits most off road style jacks and a padlock can be added for security. Quick release knobs allow for easy attachment and removal of jack. 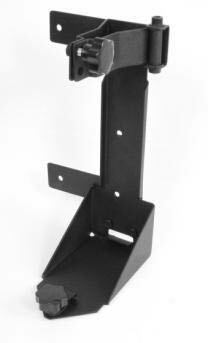 Stow an Off-Road Jack on the tailgate, Heavy duty steel with corrosion resistant black powder coat finish. Jack and pad lock must be purchased separately. ConsNeed almost 3 hands to hold everything while attaching to Jeep. Would be nice if spacers for 2012-16 Jeeps were black.